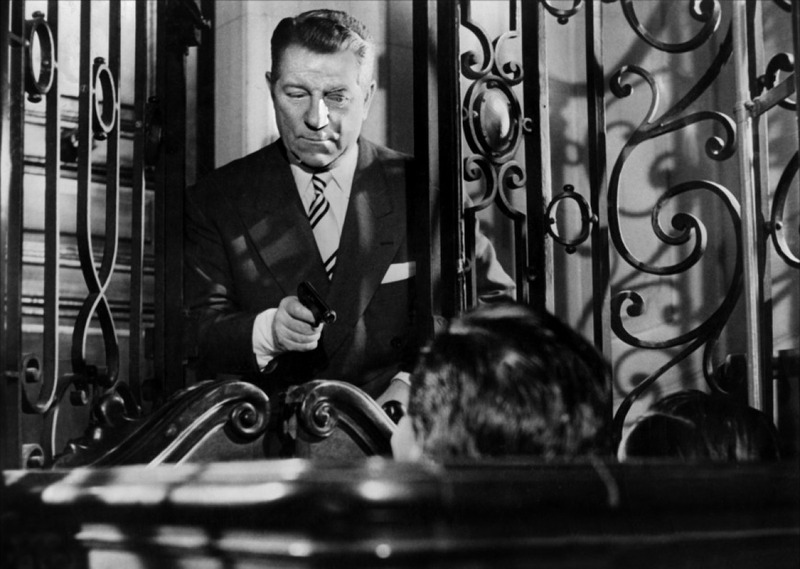 A suave aging gangster (Jean Gabin), eyeing retirement, pulls off one last daring heist but finds his dreams dash when one of his nefarious associates kidnaps a close friend. Jacques Becker's Touchez Pas au Grisbi (Hands off the Loot) is flawlessly filmed, daring for its time, and features a commanding incredibly likable tough guy in Gabin and a phenomenal country shootout finale. A poor, provincial single mother (Sally Field) laboring in poor work conditions alongside her father in a Southern textile mill acquaints rabble rousing New Yorker (Ron Liebman) sent by the union and gradually becomes involved in the cause. Norma Rae is an impeccably filmed, late career outing from versatile, socially conscious director Martin Ritt (Sounder, Hud, The Spy who Came in From the Cold) and a showcase for Field although the picture is anticlimactic, doesn't really have a conclusion, and leaves several things open. Liebman is obnoxious and given to preaching (both of which are called for however) and Beau Bridges, playing Field's affectionate coworker, has a thankless, and underdeveloped role. Despite its flaws, it is still a pleasure to see a work of such care and craft that feels largely absent from today's productions. The life and passion of Jesus Christ drawn from the first book of the Bible by Pier Paolo Pasolini, told angrily and austerely in docu-style black and white, and features beautiful, exterior photography. Remarkable also for being the work of a controversial Marxist filmmaker, this rendering reminded me of the severeness and the expressive closeups of Dreyer's Passion of Joan Arc and surely served as inspiration for latter biblical treatments. Two American exiles (Humphrey Bogart and Tim Holt) living on the fringe of society in Tampico and at the whim of pernicious entrepreneurs acquaint an old but assured miner (Walter Huston) who all but guarantees the riches to be found in the Sierra Madres, where the trio would then only have to contend with avarice, madness, and bandits. John Huston's The Treasure of the Sierra Madre, which he drew off of a B. Traven novel, is an insightful take on greed and human nature, brilliantly shot and boasting many memorable sequences. Bogart is unforgettable in his paranoid, maniacal performance as Fred C. Dobbs, Holt is strong in a straight supporting role, and Walter Huston (John's father) is tremendous in an Oscar winning part. A college professor exploits his mother, girlfriend, and a star student athlete in order to fuel his debilitating gambling addiction. 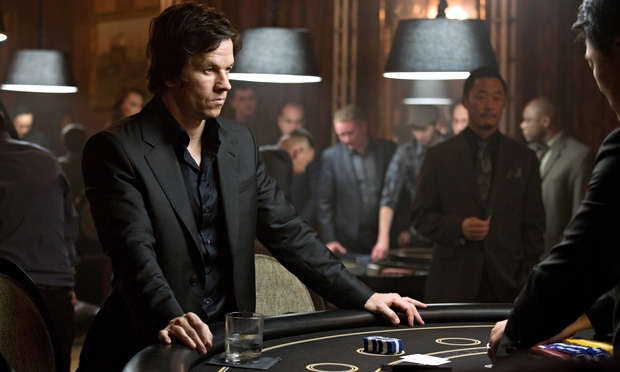 The Gambler was first conceived by James Toback in 1974 (with nods to Dostoevsky), directed by Karl Weisz. 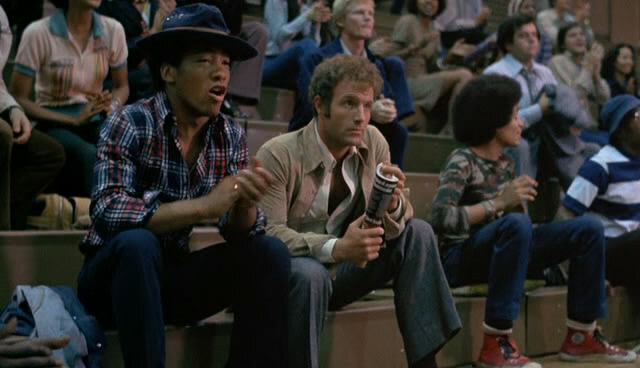 This original is a fairly obvious degenerate gambler tale with strong performances from James Caan and Lauren Hutton (not to mention a really poor one from Paul Sorvino). The film starts strong but loses steam before taking a left turn and ending with a strange, complex and ultimately satisfying finale. It should be added that much of this film feels like its capitalizing on The Godfather's success. In 2014, the film was remade generally well by director Rupert Wyatt and with a smart, tough, and fast paced William Monahan screenplay. However the lead character is so unlikable and Mark Wahlberg is so implausible a the nihilistic, intellectual professor. Also, a subplot involving his romantic relationship with Brie Larson seems underdeveloped and confusing. A psychologist is sent to investigate disturbances involving members of the crew at a space station and, upon arrival, is quickly haunted by visions of his recently deceased wife. 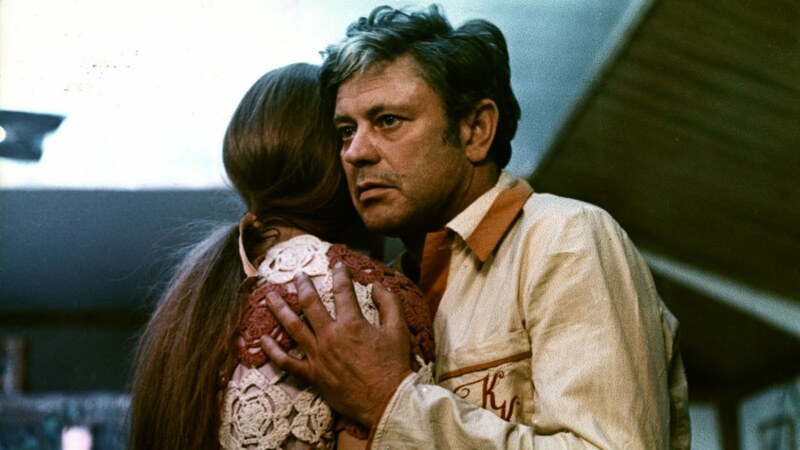 Andrei Tarkovski's Solaris, an adaptation of Stanislaw Lem's novel is extremely protracted (as expected) and yes overlong, though introspective, beautiful, and stirring with great performances especially by Nataly Bondarchuk. Steven Soderbergh's remake 30 years on has none of the original's patience nor hypnotic qualities, although George Clooney inhabits the lead role strongly and stoicly, and Viola Davis is confident in support. While awaiting hanging in Old West jail cell, Alfred Packer (Trey Parker) recalls his mining expedition in Colorado Territory and how the extreme conditions led him to develop a taste for human flesh. Cannibal! The Musical, a debut outing from Parker which also features longtime South Park collaborator Matt Stone, is a stupid often hilarious and virtually no budget musical, similar to their other fare and also demonstrating the same aptitude for farcical melodic numbers. A perpetual loser discovers a school specializing in "lifesmanship" and, after enrolling, finds himself being learned in the art of sabotage, seduction and one upsmanship. The Elstree Studio's production of Robert Hamer's School for Scoundrels is a very British and often funny film which doesn't know when to leave good enough alone with many gags dragged out too long. As for the cast, Ian Carmichael is amiable, Jeanette Scott is gorgeous, and Terry-Thomas and Alastair Sim are hysterical. Shortly after starting a new job in a rural French town, a schoolteacher is romanced by the local butcher who raises her suspicions when a series of gruesome murders strike the insular community. Claude Chabrol's 1970 psychological thriller and Hitchcokian homage (which goes without saying for a New Waver) is suspenseful and involving, told and filmed in an offbeat manner with an ominous cloud hanging over entire picture. Twenty years down the line, Harry (Jeff Daniels) springs Lloyd (Jim Carrey) from an insane asylum to once again set out on the road for another idiotic odyssey, this time to reconnect with the former's just discovered love child. The long belated follow-up the the very funny original resorts mainly to rehashed jokes, playing for sporadic laughs, and where the Farrelly Brothers found humor and even poignancy in crudity during the first outing here concoct a crudely unfunny and surprisingly amateurish production while wasting the services of their talented stars. Following the death of his child, a mail carrier and ex-Vietnam Vet (Tim Robbins) with clear PTSD symptoms begins experiencing hallucinations and schizophrenic paranoia, and finds himself unable to distinguish between fantasy and reality. Adrian Lyne's Jacob's Ladder is nightmarish and exceptionally well-made, though confusing and even nonsensical, which is ultimately to the filmmakers' credit when considering how this material could have gone in other hands (Terry Gilliam comes foremost to mind). 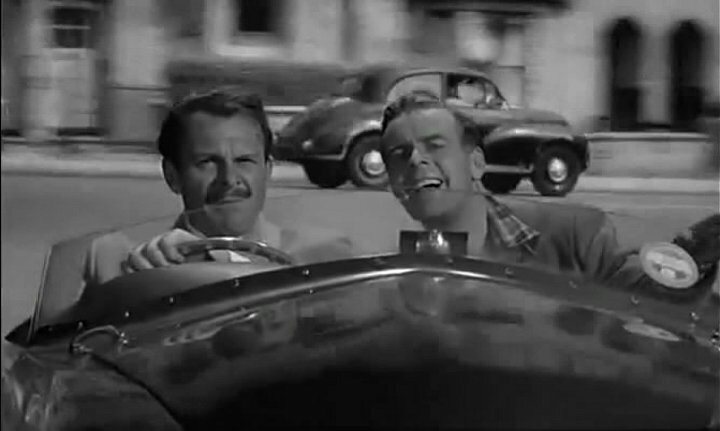 Robbins in exceptional in a fine early career role. A well-to-do successful attorney (Michael Douglas) meets an editor through work with whom he has a one night stand, leading to dire consequences for himself and his family when the lady in question proves to be a mentally unhinged stalker. Adrian Lyne’s psychological thriller is sleek and well-made, with great career defining performances from Douglas and Close. Archer is a little to sweet and understanding as Douglas’ doting wife and the violence in the finale is over the top and unsatisfying, although the editing during these sequences is extraordinary (a much more nuanced deleted scene included on the DVD proves way more gratifying). While dining el fresco at an alpine ski resort a Swedish family finds themselves at the mercy of a menacing avalanche which ultimately proves non-threatening although it stirs the father to a cowardly reaction which causes a serious and perhaps irreparable marital rift. Ruben Ostlund's Force Majeure is analytical, against the grain, uncomfortable filmmaking, replete with beautiful scenery, especially in the aforementioned avalanche scene. A bristling science prodigy (Britt Robertson) and a jaded once child genius (George Clooney) team up on a perilous mission to discover a hidden, mysterious other dimension. 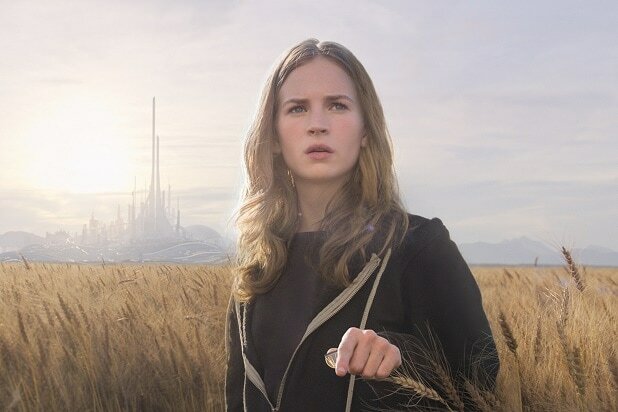 Brad Bird's Tomorrowland is more Disney pandering, exorbitant budget tripe that exited the public consciousness almost as soon as it arrived and is all but extinguished from it to today. With an obtuse, all over the map storyline. a nauseating enging, a curious involvement by Clooney, and Robertson existing solely as a mousy irritant, it is only redeemed by a few great usages of f/x. An abrasive woman, divorced and recently involved in a serious car accident, attends a chronic pain sufferers group therapy and is haunted by a fellow member (Anna Kendrick) who had just taken her own life. Cake is an artless, bland piece, the kind that has typified indie filmmaking for a stay now, with horrid dream/hallucinatory sequences thrown in to boot. Aniston’s performance is strong and unglamorous but, suffice it to say, would have been put to better use in a more worthy picture. Adrianna Barraza and Sam Worthington are strong in support. A young Scotsman (Kodi Smit-McPhee) follows his soulmate across the Atlantic and the wild frontier while teaming up with a fugitive (Michael Fassbender) being pursued by a band of ruffians. 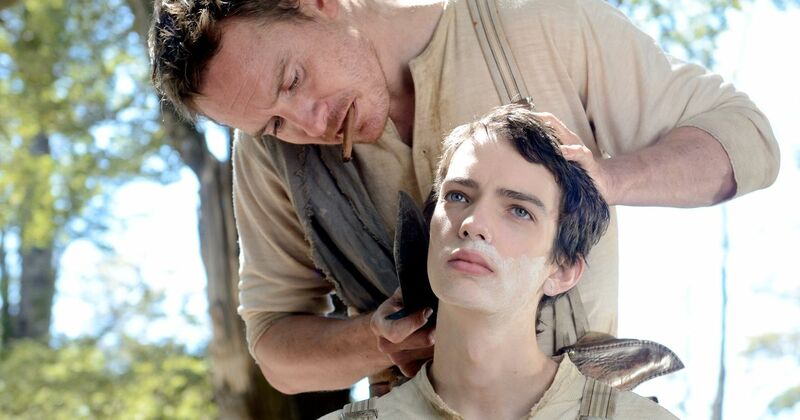 John Maclean's Slow West feels rushed and awkward, with characters needing fleshing out, scenarios that grow repetitive, and a final shootout that is unsatisfactory. The scenery is excellent and Smit-McPhee is strong although Fassbender's performance is spotty. A boozy widowed attorney (Kevin Costner) enters into a custody battle for his biracial granddaugter with the girl's ne'er-do-well father (Andre Holland) and his strong-willed mother (Octavia Spencer). Black or White is moralizing, wrongheaded, cliched, cloying tripe that written with the emotional sensibilities of an adolescent. As much as I appreciate Costner and writer/director Mike Binder, they totally miss the boat on this one. A quarter century look into the life of a surly Maine schoolteacher (Frances McDormand), resentful at the loss of her coworker/intimate (Peter Mullan), annoyed with her doting husband (Richard Jenkins) and his equally doting affections heaped on a young employee (Zoe Kazan), and failing to understand her troubled son. Olive Kitteridge, an HBO miniseries directed by Lisa Cholodenko adapted by Jane Anderson from Elizabeth Strout's book, weaves an engrossing, well told story which, although you can appreciate its path, does not have a satisfying resolution. Old hands McDormand and Jenkins are so superb although Bill Murray, a minor but no less important late introduced character, is somewhat distracting. A disturbed, partially disfugured young woman (Mia Wasikowskajust released from an institution back east catches a bus for Hollywood, gains the employ of disturbed failing actress (Julianne Moore), romances her limo driver (Robert Pattinson), and seeks to reconnect with her now successful industry family she scarred as a child. 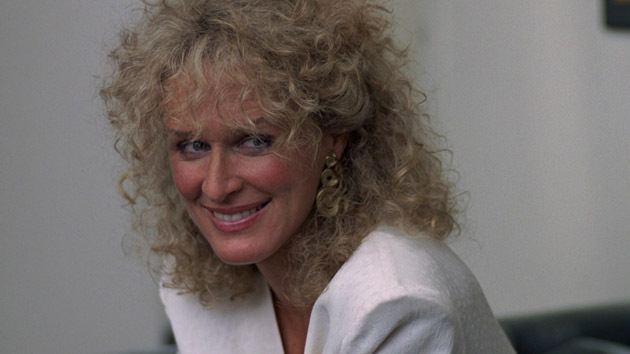 Maps to the Stars is depravedly, shockingly funny before turning sad and tragic. The trashy subject matter, written by Bruce Wagner, is handled masterfully by director David Cronenberg and the film is given a boost from Wasikowska, Moore, John Cusack, and the rest of the cast. An American con artist (Oscar Isaacs) plying his trade in Athens befriends a wealthy couple (Viggo Mortensen and Kirsten Dunst) touring the ancient city, their relationship becoming even more complicated following a murder at their hotel. 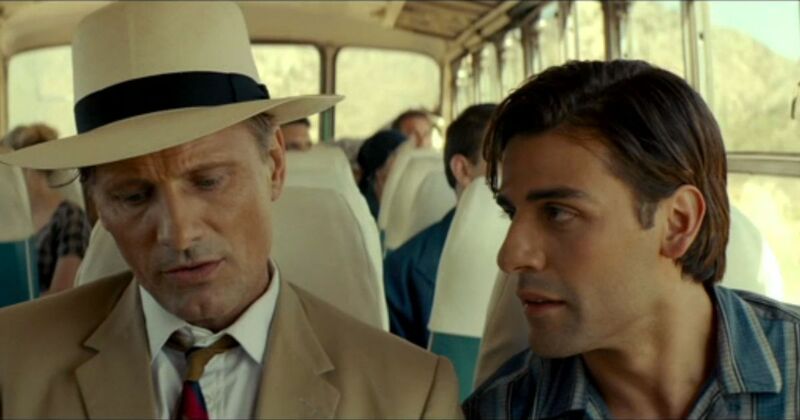 The Two Faces of January offers a humdrum story with contrived plotting, though not unsatisfying for what you buy in for from a Patricia Highsmith adaptation. Mortensen and Dunst, two performers I admire, are hard to take hear but Isaacs is quite good, enigmatic at that. Good use is made of location shooting. The larger than life story of Louis Zamperini (Jerry O'Connell), a troubled son of immigrants who transforms himself into an Olympic runner, competing alongside Jesse Owens in Berlin in 1936. Afterwards, enlisting in World War II on a bomber crew, he was shot down in the Pacific surviving at sea for 47 days, only to be treated to an extended, hellish stay at a Japanese prisoner of war camp at the hands of a sadistic overseer. 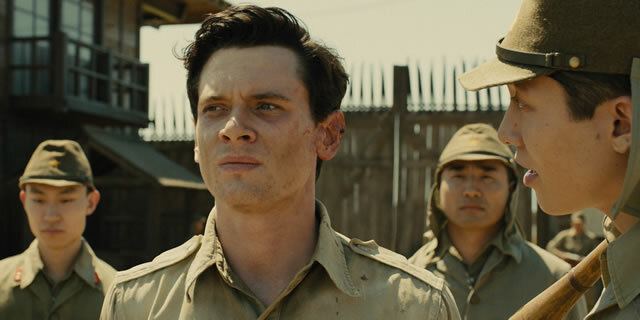 When I first read Laura Hillebrand's account of Zamperini's remarkable story, I thought it was the ready made, can't miss makings for a big screen treatment, and wondered why it hadn't been so in a more pronounced offering before. But somehow, someway director Angelina Jolie, working with a four man screenwriting team including the Coen brothers and cinematographer Roger Deakins no less), managed to drop the ball and screw up a sure fire thing presenting instead some glossy hokey pap with an ensemble of incompetent actors (O'Connell and Gomhnall Gleeson are especially subpar) told in the best tradition of schmaltzy, immediately forgettable historical epics. A has-been writer (Toni Servillo) living the fast life in Rome for many years reaches his 65th birthday and begans to take stock in himself and reexamine all the beauty and wonder that lies around him. 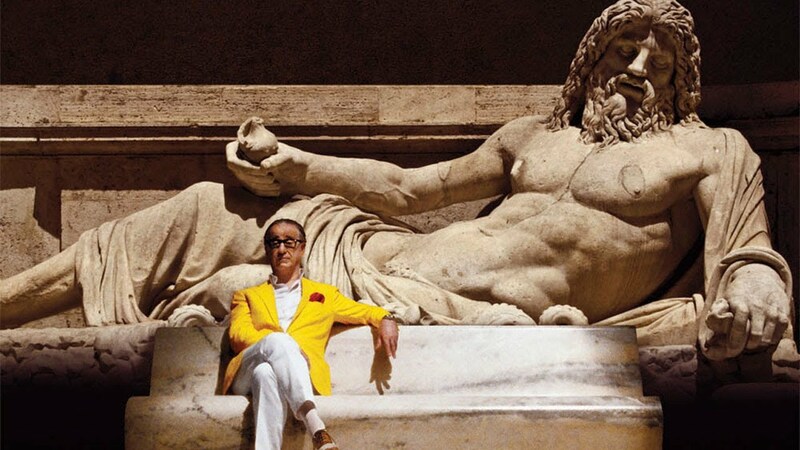 Paolo Sorrentino's tribute to La Dolce Vita and the city of the seven hills borders a little too close to Fellini's classic but is strangely engrossing with several memorable sequences, great location shooting, and a fine performance from Servillo. The English folk hero and Prince of Sherwood Forest (Errol Flynn) joins forces with Little John (Alan Hale) and Friar Tuck (Eugene Pallette), romances the beautiful Maid Marion (Olivia de Havilland), annoys Prince John (Claude Rains), and does battle with the odious Sir Guy of Gisbourne (Basil Rathbone), all in the absence of King Richard. Warner Brothers' Michael Curtiz helmed The Adventures of Robin Hood is exhilarating, irreverent and romantic. In short, a perfect blend. Flynn is at his dashing, impudent best, de Havilland has never been lovelier, and they are surrounded by an inimitable band of merry supporters. Great use of technicolor, both in studio and exterior. Ripley: Believe It or Not, an American Experience entry, is a fine presentation of life and especially on the life’s work of Robert Ripley, who despite the great success of his comic strip on oddities, remains relatively unknown to the public. The footage is great, the stories are fascinating, and although I don't say this often, the documentary, which clocks in at under an hour, is far too short and could have benefitted from a good 30-60 minutes more. An out of work handyman (Andrew Garfield) living with his son and mother (Laura Dern), is evicted from their Florida home during the 2010 housing crisis and, with his soul on the table, makes a deal for his home and goes to work for the opportunistic shark (Michael Shannon) who purchased it. 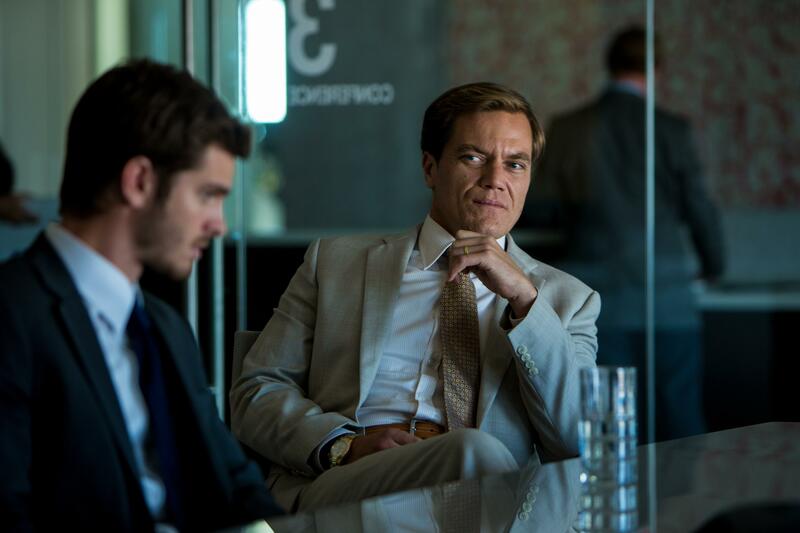 Ramin Bahrani's 99 Homes is an intense, suspenseful parable, told with anger, intelligence, and what feels like authenticity, even if it does quickly become clear where the film is going. Garfield is earnest and believable as a hard luck joe and Shannon is a magnetic Mephistopheles.